I’m giving away two (2) Just One Cookbook aprons by Hedley & Bennett. This giveaway contest closes on Tuesday, October 31, at 12 p.m. PST and is open to everyone worldwide! Congratulations C. Rodriguez and Carolai! I’ll email you shortly. Yay, I’ve been looking for an apron! What better than one from one of my favorite cooking blogs? I follow your Instagram, YouTube, and Facebook already. ???? Would love to win an apron! Love your recipes!! I like one please. Already subscribe to email. Left a comment on your instagram. Apron looks pretty. I’ve already followed you on Instagram and I love that apron! Also subscribed to your youtube! Meeeee! I didn’t know you had a newsletter so it’s win-win!! ???????? Happy to find you on Facebook too! When in doubt what to cook for my Family on a weekly basis, I’d seek JOC for inspirations and never ever fail to be inspired and cook up an awesome dish/ meal! Thank you for sharing it wondering recipes dear♡ Hope to win!! I love this site and all its contents. The video tutorials are AMAZING! I’m already subscribed to your YT and newsletter and following you on Instagram and Twitter! I love your recipes! Thank you for continuing to share them with us!! This apron is so cute! Apparently I wasn’t following you on Twitter, but I am now! ???????????? Been a subscriber for a while to your YT! Love your channel and recipes! I enjoy seeing all your posts on instagram even when it makes me super hungry! I have been following your FB. I love your instagram posts, especially when you are traveling. Love your youtube post, too. It looks like a lovely apron. Love the color. JOC is my go-to whenever I want Japanese food but can’t find somewhere in my area that sells it/makes it well! Thank you for great recipes ???? The apron is very lovely and useful to have! 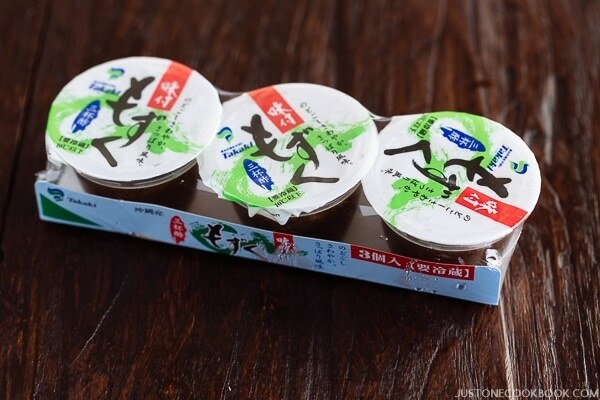 I would love to own it and put it to use when I whip up my mapo tofu or omurice. Just subscribed! It’s a really great site, with delicious recipes! I tried 2-3 of them, and everything was so yummy. I love Japanese foods, so you’re a big help! Thank you! I want that apron! ???? Hoping to win but if not, that’s okay too! Liked and following Facebook page. Hi Nami! So funny about aprons. I own three and only wear one ‘cuz the others are too pretty to get dirty. I am a magnet for grease stains when I cook and do dishes so I wear an old black one received free from a local culinary institute. My Mom spends half her day wearing her aprons–so much that she wore a hole through it and had to fix it with an iron on patch. 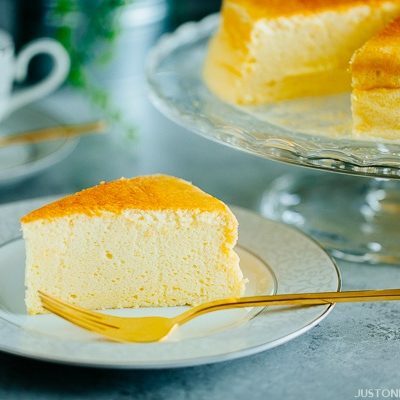 Just found your website recently through your YouTube channel (for Japanese Cheesecake). Thanks! Apron looks really nice. I’d love to have a kitchen apron to keep the food off of me! Already signed up with the newsletter, liked the FB page, followed the Instagram, subscribed to the YouTube channel, and just followed on Twitter. Another comment for liking your FB page. 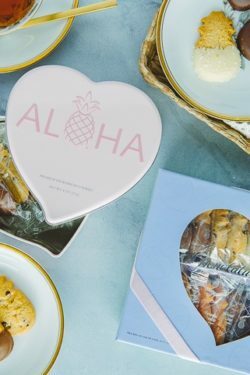 This blog makes me hungry! Love yorecipes. They are so easy to follow and are full of new food serving ideas. Already subscribed to Just One Cookbook email newsletter. Hopefully I win an apron! I love your e-mail newsletters. I have travelled to Japan many Times and will return soon. I especially enjoy Kyoto. 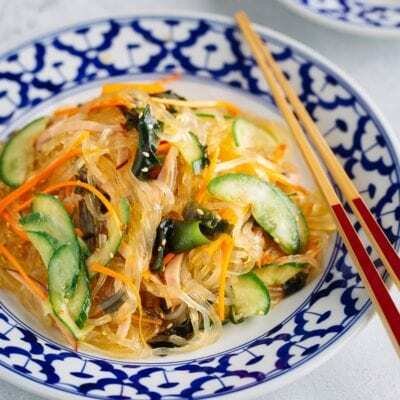 Your recipes remind me of the fabulous food of Japan and gives me easy ways to reproduce it at home. Always enjoy receiving them! Thank you! I’m sending the teething recipe to my daughter for my grandson ???????? Nice apron! Love your recipies! Simple, fun, and delicious! So glad to hear you plan to produce a (paper) cookbook. Im looking forward to buying it!! Congratulations on being a finalist in the Saveur competition. Your videos are great – clear and helpful! I’ve subscribed to the JOC newsletter for many years. I’ve liked your Facebook page for many years. I’ve been following your Instagram page. Ticket 1 – already signed up for the newsletter. Just enjoyed some of your Spicy Shoyu Ramen スパイシー醤油ラメーン for our Canadian Thanksgiving – a bit unconventional for us, but needed something special and QUICK this year. Ticket 2 – time to learn to make your spicy bean spout salad this week. Ticket 3 – love your blogging friend’s @sonianll recent post – really beautiful. Love your recipes and blog! Hi Nami! I would love to win one of the aprons…my current one is getting sort of “iffy”! I am a subscriber to your e-mail newsletter. These aprons look nice! I subscribe Just One Cookbook Email Newsletter! I am enjoying your videos and excellent recipes to try. I Subscribe to your YouTube channel and love your videos! I love this style of food, more than I knew. 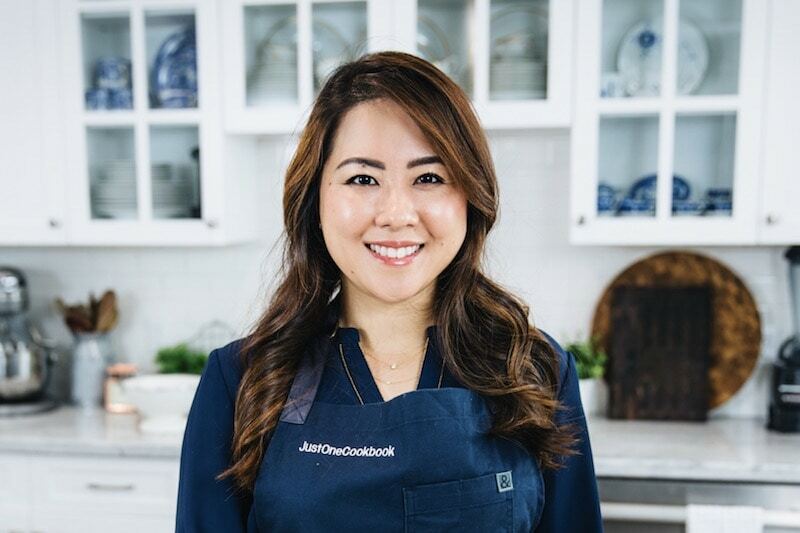 The JustOneCookbook site has provided me with so many great meals and fun cooking experiences. The sweet and sour chicken are almost perfected! I have just now subscribed to your YouTube channel; what a collection of fine, informational videos! Thank you!! That apron would certainly save a shirt or two in my kitchen!! When I lived in Japan, Oyakodon was my #1 favorite comfort food. We’re putting this on the menu for next week! Love the apron and all of your recipes! ???? Followed your instagram! Such a pretty feed!! ???? Subscribed to your beautiful YouTube! ???? Love your website and your recipe ideas! The omurice recipe is making me hungry! I subscribe to your instagram. Hi Namiko, I want to win one of your ‘Famous’ namesake Aprons. I would be so proud to wear this at my Backyard BBQ’s. Just think of the advertising! Ticket #2 I already like your Facebook page. I could definitely use an apron and would be honored to wear one with your logo on it. I really enjoy the meals you posted for the week .. Love your newsletter ! I would love to win Nami! I totally love your recipes! My brother, who is super picky and complains about pretty much all food, also loves them! A Joc apron would be nice. I have always admired your apron, so would love to win one. Thanks! Will you be making more kitchenware? Will you be making kid sizes of these? That would be adorable! Thanks for your giveaway. ???? 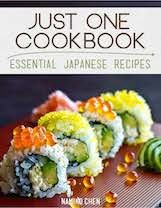 I love Just one cookbook, Nami. Thank you for your hard work. I like you on a Facebook! I like you on instagram! I subscribe to our your youTube channel! Hi Nami! 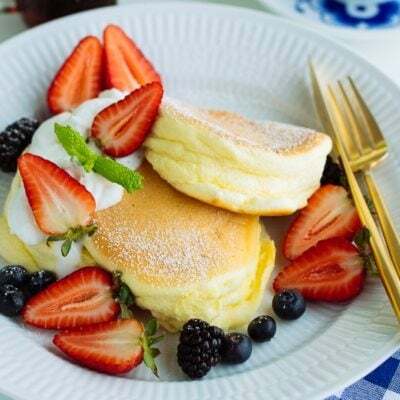 I love your videos and recipes – everything looks so delicious. I would love to win an apron! I’ve followed you on Facebook! I’ve followed your instagram! I’m tinypotacho. Yea! I want a JOC apron!! I already FB, Insta and uTube follow JOC. Cute apron! Love your blog! I am a subscriber of your email newsletter. Thank you..what a cute apron! I follow your Instagram. 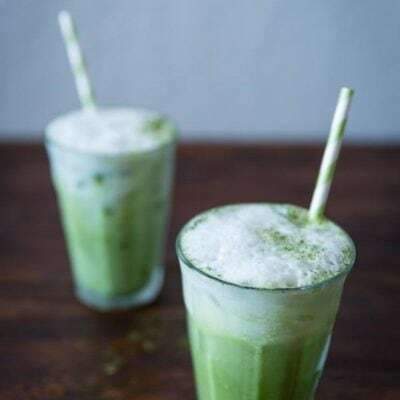 I’m going to try the Green Tea Steamed Cake one day soon! Wearing a Japanese apron would be such an honor to wear when I try to recreate some of my childhood meals from Japan . Sending my momma to heaven 50 years ago, I know she would love to watch me cook! Inspiring! Releases hindrances and leads the way. I follow you on Instagram. My username is Artemys12. I guess an apron would be nice to have. 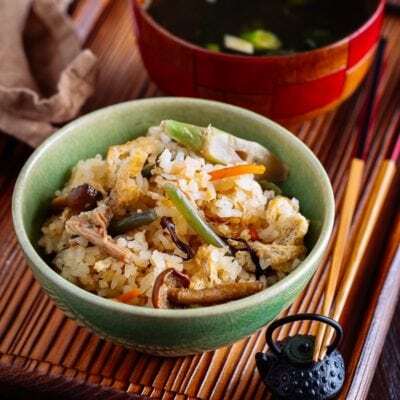 Oyako-don recipe looks like an easy, quick and delicious meal. I hope to win! fingers crossed! Would wear the apron with pride. For a new cook, I love your easy to follow recipes and pictures. I look forward to receiving new recipes in my inbox and exploring where it takes me. Love your site! I go back to quite a number of your recipes! Liked and following your FB page. Your recipes are inspiring keep up the good work of introducing western people like me to the pleasures of Japanese cooking. Just One Cookbook is my absolute favorite!!! Thank you for all of your cooking and travel posts–so helpful and informative. Would love this apron for Christmas. Being a messy cook I’d definitely benefit from an apron! I follow JOC on facebook ???? I enjoy JOC on utube! I use a LOT of your recipes. My fiance and I are very thankful you have so many different recipes because we truly love Japanese food! I would love to wear one of your aprons while cooking!!!! Will we be able to buy one of the aprons later on?? I follow you on all your social media platforms as well as youtube! My username is kissfromasiren for all of them!! Been following you on Facebook, Twitter, instagram, YouTube channel and of course your newsletter. I love wearing an apron when I cook. Would love to wear one of your aprons with the logo. Hi, I am a fan of your Facebook page. Love love love your site !! Glad to have subscribed to your email newsletter. And have liked your Facebook and instagram plus YouTube. Now I won’t miss it. I am a JOC email newsletter subscriber! Wow! I would love to add this to my collection! I’m following you on IG! I already have subscribed to the newsletter. Love getting all the new recipes! I would love an apron!! Love your recipes! Instagram follower! Love love love!! YouTube subscriber???? Enjoy your videos! 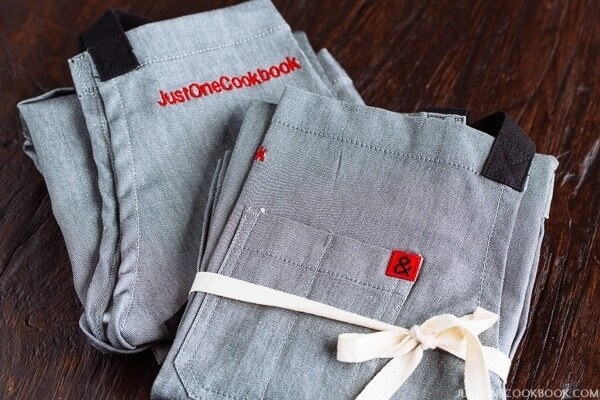 Would love to have a JustOneCookbook apron just as much as I love your recipes!! 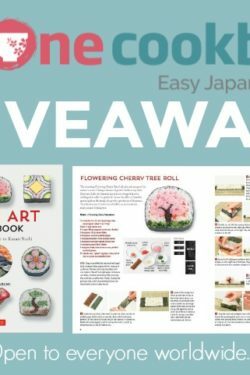 This is a great resource for Japanese cooking, Thank you! I am following you on your instagram page! I follow your twitter page! I’m excited to have found your website and look forward to your emails! Love your YouTube videos, can’t wait to see more! I just happened to come across your website while looking for korokke recipes and wow, I must say, I love your website and all the recipes you have on it. The korokkes came out great so now I will be trying your yakisoba recipe tonight. Found you on Facebook and liked your page… looking forward to your posts. I’m already a subscriber to JOC newsletters. I already follow JOC on IG. ❤️ beautiful aprons, I wish it was mine ???? I would love to own a ‘Just one cookbook’ apron. I already follow JOC on YT. I follow JOC on Twitter. That apron is a must-have, please! Hi. Before subscribing to you, the only Japanese dish I had ever tried is okonomiyaki. Now I’ve been cooking tonkatsu, my family’s favorite meal and packed lunch. Thanks for your recipes, there are more I can try. Helli! So happy to have subscribed to the email newsletter! Thank you. Hello! Thank you for always providing new recipes via Facebook! Hello! Looking forward to the usual great photo’s you post in Facebook, this time via Instagram! Thank you. Just subscribed. Hope I win! I am subscribed to your Instagram! Love your YouTube and E-mail sites would love to receive an apron!!! I love your YouTube channel. Im a subscriber. Love your recipes, i enjoy reading yhe newd letter. Nami san, we hope that your time with the kids (but without Mr. JOC) is a happy one, knowing that you teach us so much, Sensei…. Love all of your cooking! Thanks for all the great recipes and tips. I subscribed to JOC email newsletter! I would love a new apron! Especially with the logo of my favorite food page. ???? I wanna WIN a cool apron. Ohhhh I would love this apron. You’re such an inspiration for my cooking. 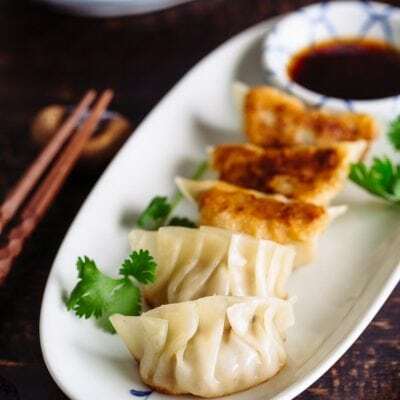 I’m a “hafu” girl and cooking became my way to keep in touch with my origins,. After I found your page, there’s not even a single week I don’t cook one of your recipes. Even my Japanese grandma is approving my cooking after I started following your recipes! I’ve been cooking to friends, boyfriend and family and they all look forward to my cooking now! 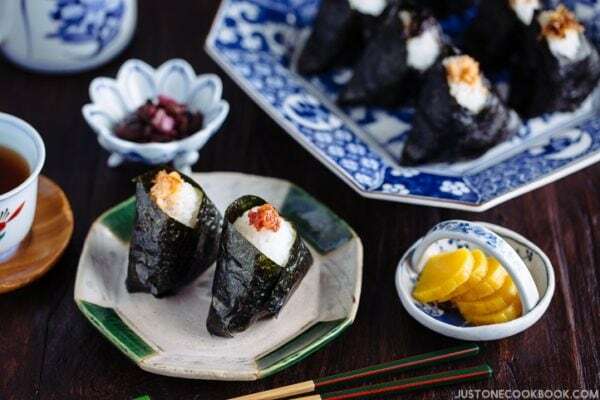 I travel the world for living and I get to try many different flavors around the world, but I have to say, there’s nothing that taste better and natsukashii than a nice home made food, thanks for passing all your knowledge to us, for me it has been of a real culture value. Hello Nami and JOC Team! This is very timely because my apron is overused. Hope I win this time! Thanks and more power from the Philippines! I’m a subscriber to your email. I watch your cooking video almost everyday. You are a such detail person. Wish you can make some videos for introducing your pantry and kitchen and how you organize them . Just officially sunscribed to your blog but have been following you on social media since our return from Japan in August! I started following you on Facebook and you have been my go-to for food inspiration for a few months now. Haven’t been disappointed yet! Just started following JOC on Twitter! Thanks for doing what you do! Already following on Instagram. Love the pictures! Always inspired by your recipes. Following on You Tube too. All JOC all the time! I love having recipes my son enjoys. Thanks for making cooking Japanese cuisine so doable for everyone. I’m making chicken meatballs tomorrow! Big fan of yours! Taking this chance to thank U for the recipes which are always so easy to follow! Hope to win this lovely apron ???? Also followed on twitter, I really appreciate the work you put into your recipes. Thank you for all delicious recipes. Just hosted two dear friends from Japan. They both were so happy and enjoyed the Japanese food I prepared during their stay using many of your recipes. Thank you! I follow Justonecookbook on facebook and it is all my favourite home cook food. Just watching the videos makes my mouth water and reminds of all the japanese dishes that I havent cooked for a while! Loves watching you! I am in love with your blog! I’v spent two months in Japan and finnaly I can recreate the same taste and flavor I felt in love with! Good idea ! Good luck everyone ! Hi, Nami! Love to see your videos! Love your recipes! They are a lifesaver! Just went through and did all 5! I didn’t even realize I wasn’t following anything and I’ve been using your recipes for a while now. Love your recipes. Simple and easy to follow..
Subscribed to email, YouTube and fb! Of course I am a JOC subscriber! of course I am a JOC youtube subscribers squad! Love your ate. Love cooking different foods. I am following JOC on Twitter! 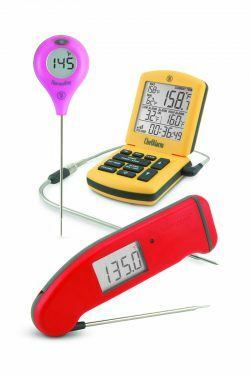 Oh, I really would love to have one of those to wear when I cook your recipes! Hello, I love your Japanese recipes. I usually cook one or two every week. It would be such a pleasure to wear your apron. 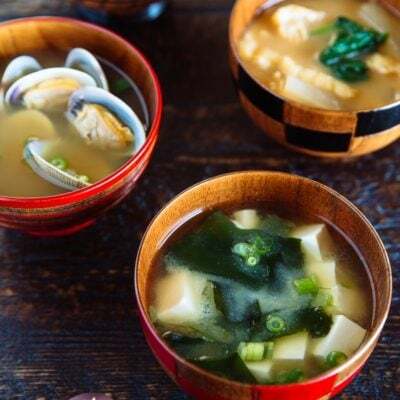 I love to try new recipes, and Japanese cooking is the BEST! Thank you for providing these fabulous recipes! 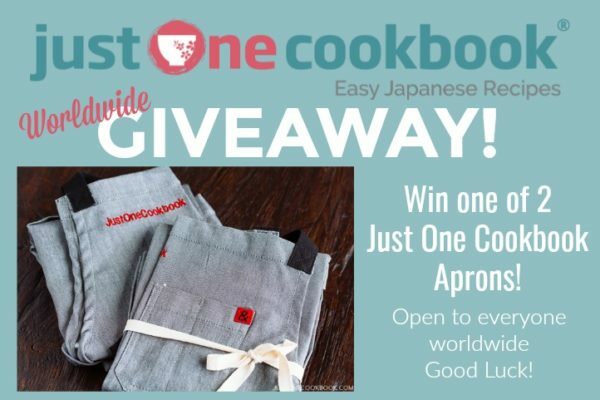 I would love to have a ‘Just one cookbook’ apron. Would love one of your darling aprons! Already an e-mail subscriber. Thanks! Already like you on Facebook. Thanks! Already follow you on Instagram. Thanks! Love your simple and easy to follow recipes.. and now that the weather is turning cold.. your Mille-Feuille Nabe is the best..
I’m opening my food cart next week and would be happy to have a good apron to wear! I’d love to have an apron for my birth month. Thank you. 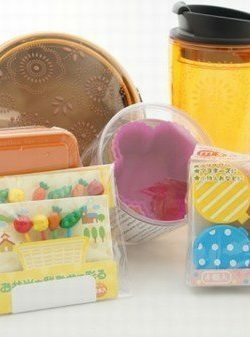 Nami each time I open your blog you take me back to the Japan I grew to love so much. 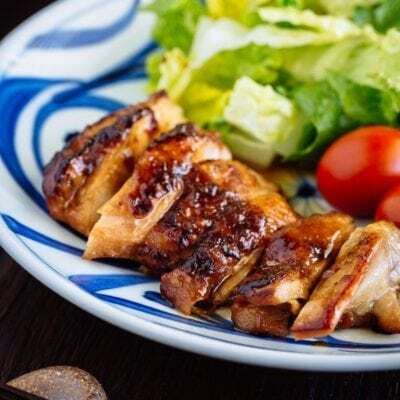 It so easy to follow your recipes and I have now found a Japanese grocery store not far from my home and the staff are most helpful. Always excited for your amazing giveaways! I’m a subscriber on your YouTube channel. Love your newsletter. I’m a subs. I would love to have this beautiful apron. I’m very impressed with all your recipe … and step by step photo’s of cooking that you give … its very helpful. I enjoy watching your YouTube videos. I subscribed to Just One Cookbook Email Newsletter. I love your YouTube videos. I’m a subscriber. love your newsletter is really helpful & it gives me ideas of what to cook. Great videos on YouTube. I’m a subscriber. 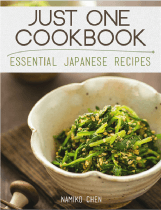 I would love to own a Just one cookbook apron & have more fun cooking Japanese dishes.